I never had the opportunity as a youth to see this movie in theatres, only on VHS. My first chance was last night. I loved this movie growing up and I love it even more now. The work and the detail put into each shot, each character movement was just incredible. I was amazing how much life and fear they were able to create in the eyes of podlings as the light from the crystal was draining their essence. I can't wait to buy this on blu ray now. I cannot believe it!! 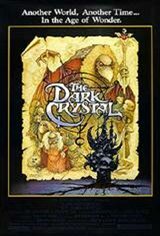 I saw this movie ages and ages ago and it is one of the few fantasy movies I have ever seen which has left a lasting impression!! An excellent movie! In the end, it is about the integration of good and evil into one!! I felt like there was a good dose of Jungian psychology incorporated into this. Really, I give it a ten out of ten! !